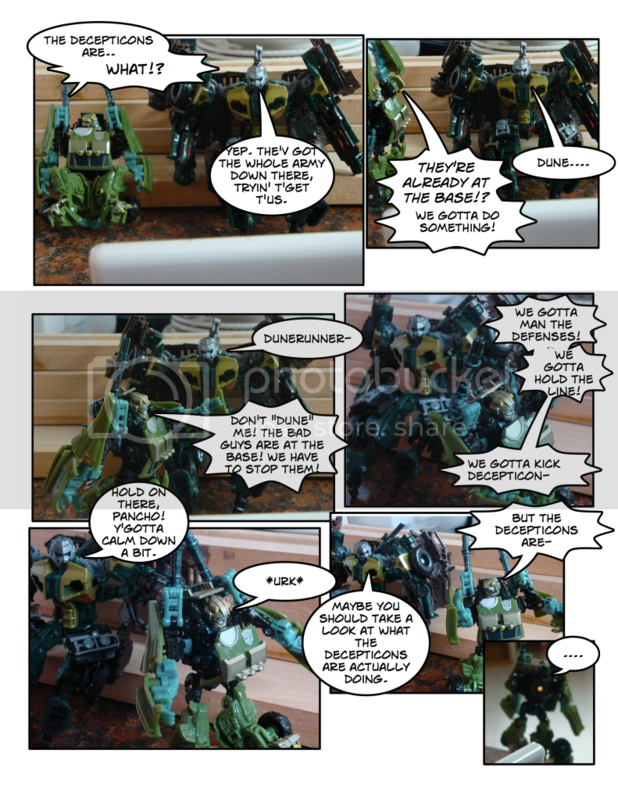 Discussion in 'Transformers Funnies' started by boxorak, Jul 7, 2010. Hi! 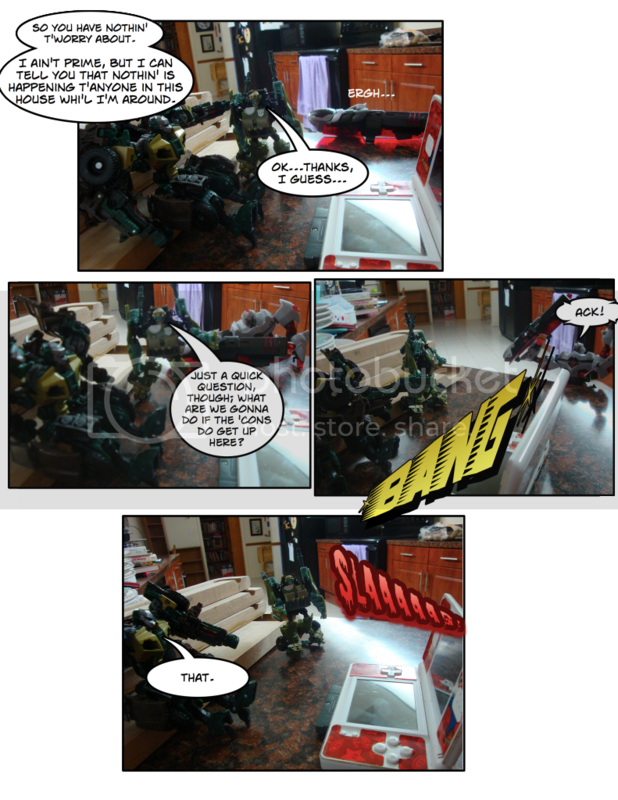 I'm new here, and I'm startiong a new photocomic series. 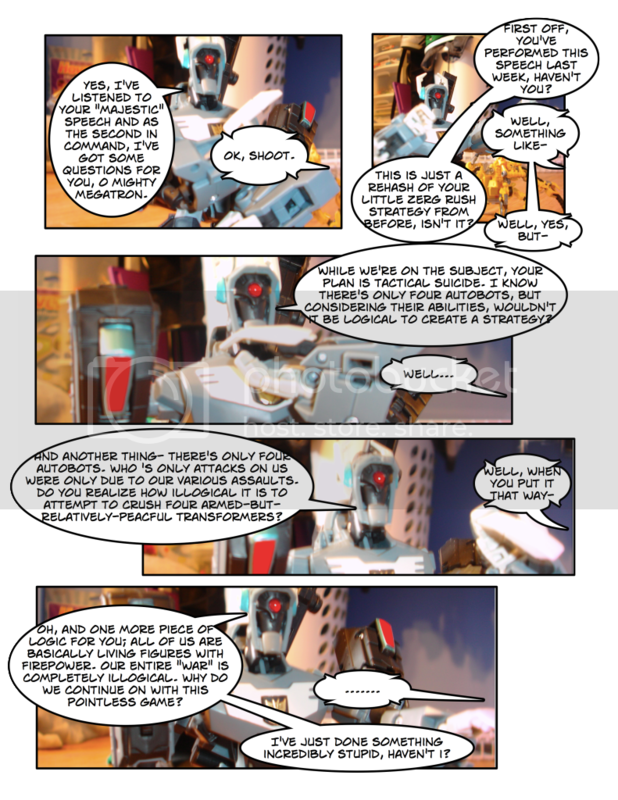 I'm trying something new here; actual comic-style panels. I'm doing it to see if I can save room, but....well, post your thoughts and criticism. End rambling. let's begin, shall we? 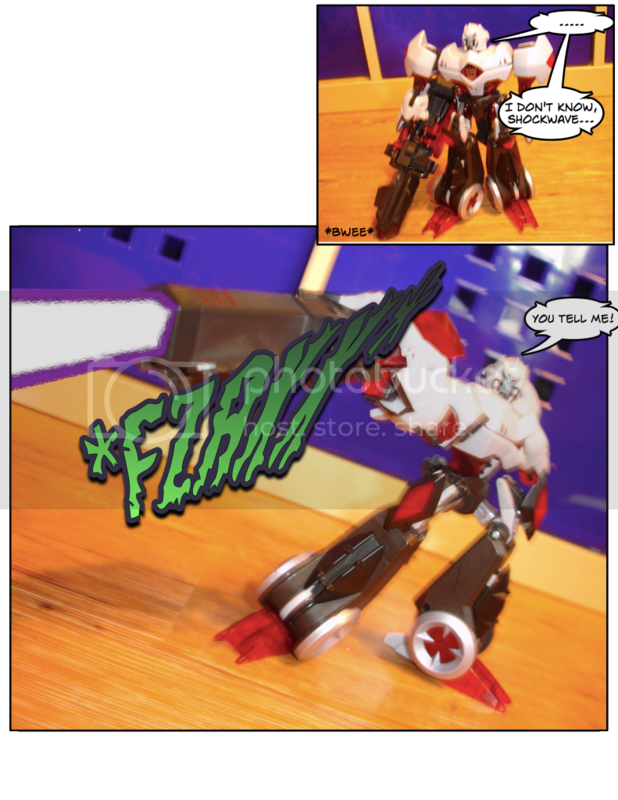 Rule Number 1: Don't Question Megatron's authority. 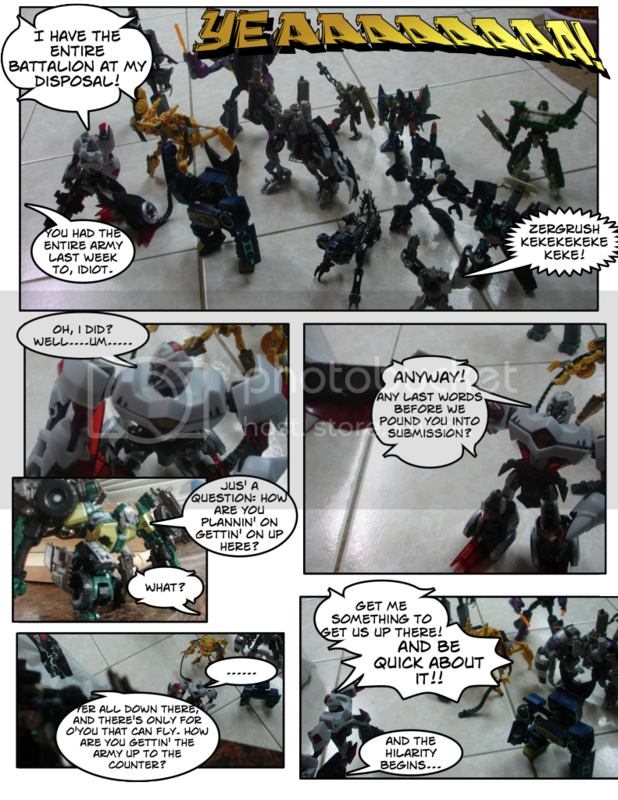 So you have more decepticons than autobots? Yep. 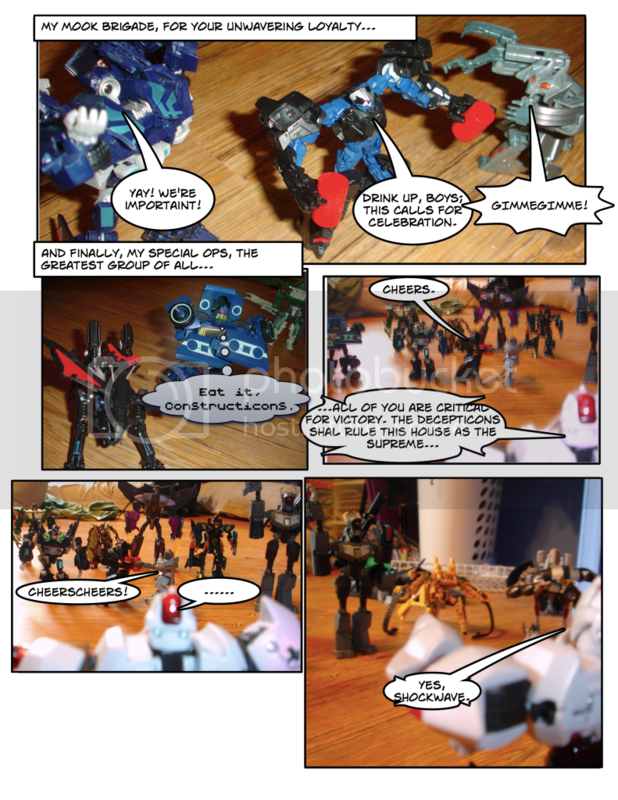 It's not as bad as I made it out to be, though; there's 11 Autobots out of maybe 32 total figures. Not sure why, though. "POGO TIEM!" This is great! Not a bad start. Looking forward to seeing more. 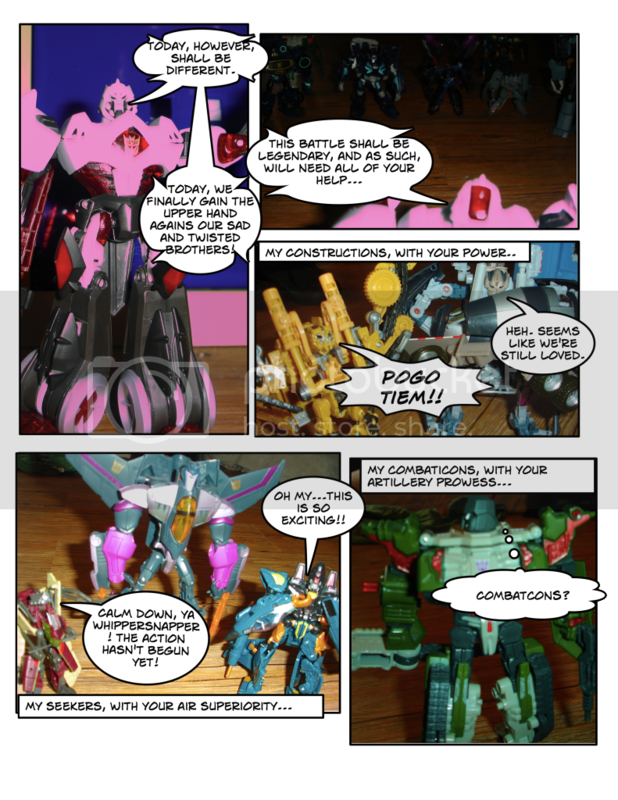 Lolz at Shockwave and "Pogo Tiem"
What type of program do you use to make it more comic-book style? 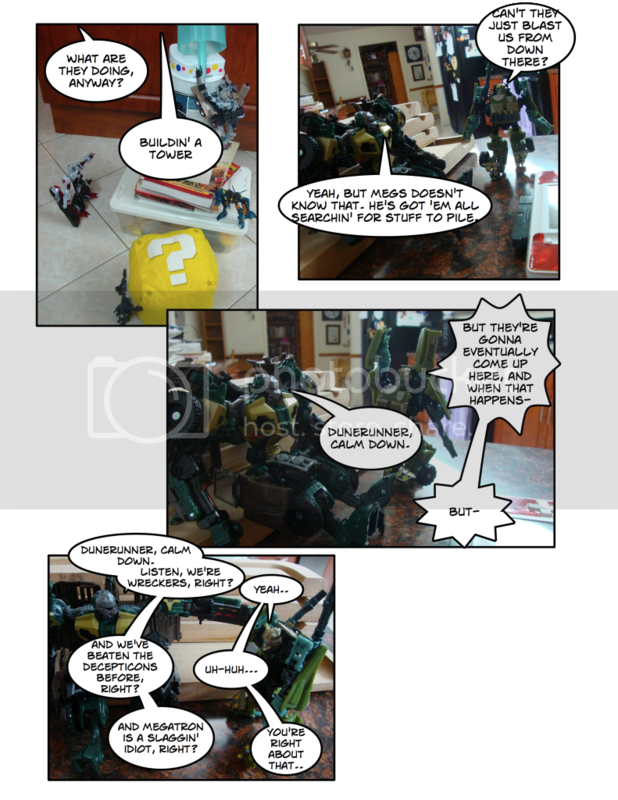 I use a program called Comic Life in order to get the comic book-style pages. I think someone else here uses it. 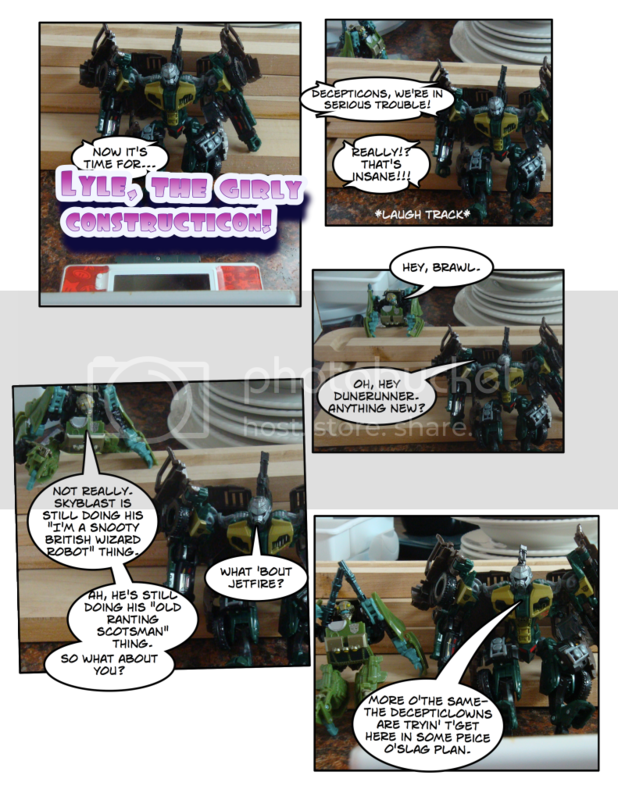 Sage o' G-Fruit, Mini-Bot, Zherbus... heck, even I use Comic Life. 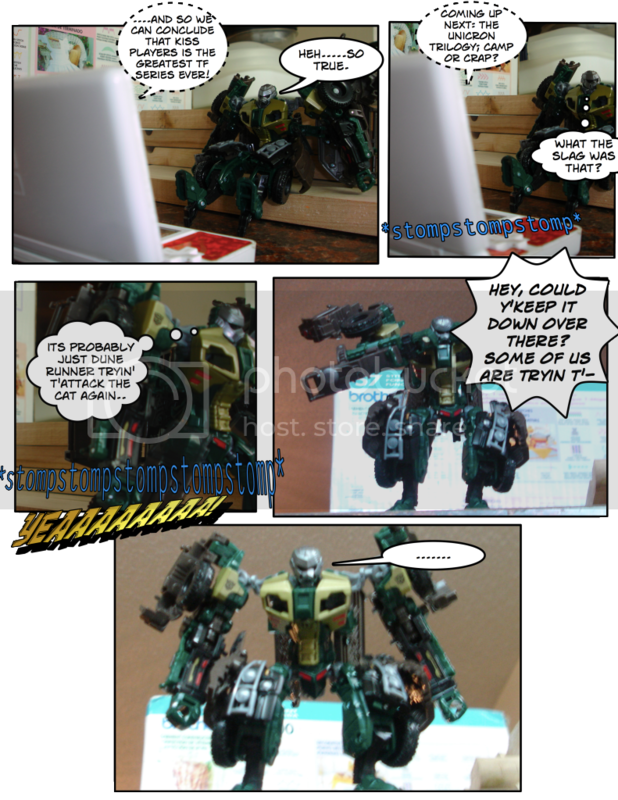 Yes, Brawn likes Kiss Players. You can hate him now. 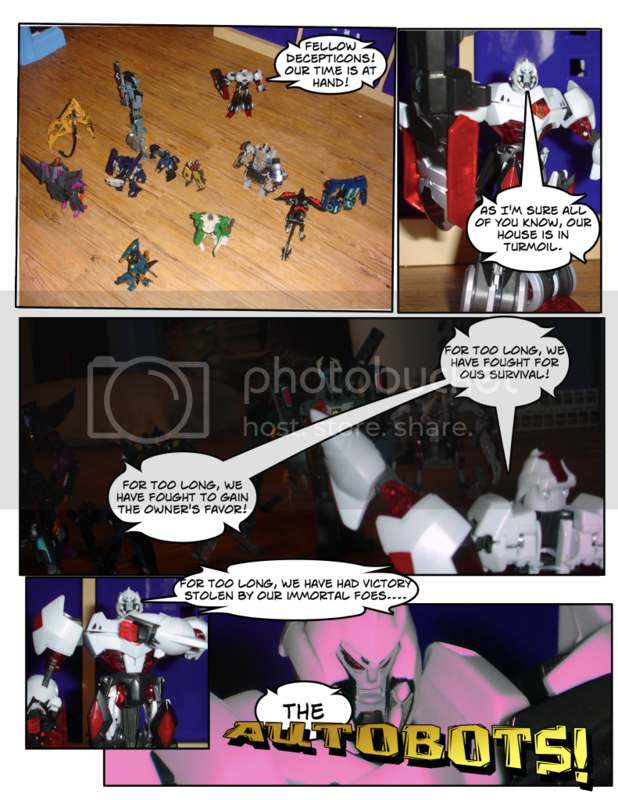 Yeah, the cut-offs makes it hard what some of the characters are saying. Much better now that the cut-offs were fixed. I'm churning them out like lightning! In retrospect, I feel I threw this one together....but oh well. 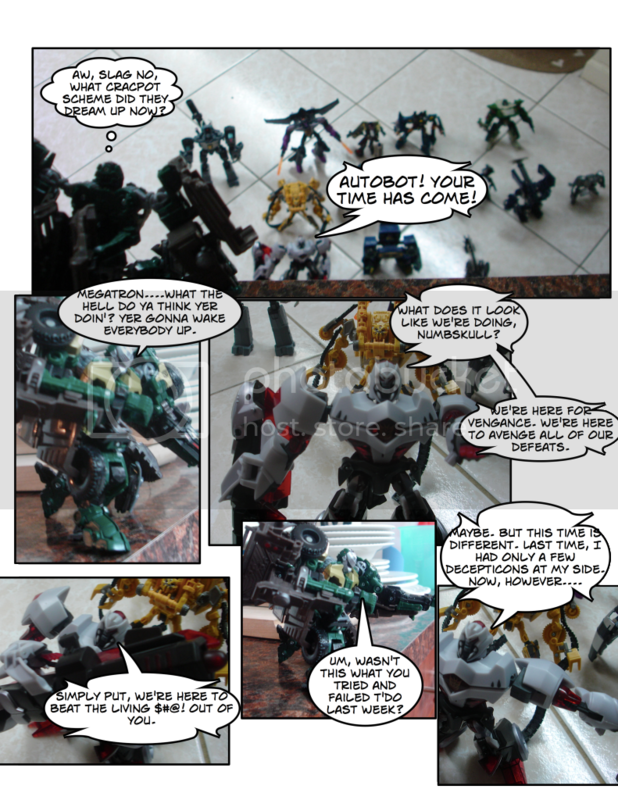 BTW, Dunerunner called Brawn "Brawl."